Can't Seem To Find Direction... Advice? I have been studying Buddhism 'casually' for many years; books, audiobooks, online research, etc. I went on retreat for a week a couple of years ago and it rekindled my interest in Buddhism. I have a simple but pleasing meditation alter set up, I have a bunch of books on Buddhism, many of which are audiobooks that I listen to almost nightly. Many Buddhist beliefs I find are already in my nature, such as practicing Compassion, doing no harm, being mindful, trying to practice right speech, right action, etc. Here are my problems/concerns. Recently, I began trying to decipher the differences between the traditions. I found myself relating more with Mahayana and/or Tibetan (as opposed to Theravada or Zen, etc), and yet being most confused by the Mahayana tradition. I don't understand the "mysticism", "magic", "multiple gods/deities" and other words I see commonly describing the tradition. Yet I relate most with public Buddhist figures such as HH The Dalai Lama, Pema Chodron, Robert Thurman, etc. So for starters, I need to learn more about this tradition. I live in a very remote area and there are no teachers or Sanghas or Buddhist groups anywhere near me. So I am on my own trying to learn this tradition and Buddhism in general. I keep reading that this tradition especially really needs a teacher for proper understanding, so I don't know what to do about that. I've even tried to find "online teachers" but haven't found anything like that. Also, I don't know what else I should be doing. I read on the subject and I meditate (basic metta type meditation), and try to incorporate mindfulness and compassion in my daily life, but what else? Are there rituals, others things I could be learning? Certain days to observe and then how to observe them? It seems I read and read and read, and feel frustrated that I don't seem to know how to implement practice. I struggle to even form this post. I feel excited and optimistic that I am looking deeper into Buddhism after many years of interest, and yet I feel totally lost about what I should be doing and how I should be practicing. Without a teacher, I feel lost as to how to direct myself. I tried a couple other forums, but found the forum posts to be very vague. I mean no offense to any Buddhists by this, but some of the people seemed to get lost in the lingo of Buddhism, and a simple direct question would be answered with some sort of riddle mirrored back at them, leaving the poster with the question to try and decipher what the answer actually was. I found this very frustrating. I found this forum and am really hoping it will be different. 1. How can I understand the "mysticism" aspects of this tradition better? It seems very complex, and although I'm doing a lot of reading, I haven't really found anything that breaks down the Mahayana tradition in an easy to understand manner. How do I determine what tradition is best for me? Every time I've asked people this, they always say vague things like "It doesn't matter, all paths lead back to Buddha" etc. While I realize this is true, the fact is there are still different traditions and I feel determined to know which one is right for me so I can proceed accordingly, buying books on that path, studying that path, and knowing why. 2. Other than meditating, practicing compassion & mindfulness, and reading, what else can I be doing? Are there rituals that would be useful? Tools? Certain days to observe and then how to observe them? Basic required reading, etc? I feel a strong desire to understand and practice, and yet feel totally paralyzed with confusion and don't know where to begin or what to do. Re: Can't Seem To Find Direction... Advice? This is the kind of Buddhism predominant in the Himalayan nations of Tibet, Nepal, Bhutan, and also Mongolia. It is known as Vajrayana because of the ritual use of the vajra, a symbol of imperishable diamond, of thunder and lightning. At the center of Tibetan Buddhism is the religious figure called the lama, Tibetan for "guru"," source of another of its names, Lamaism. Several major lineages of lamas developed, beginning in the ninth century with the Nyingma-pa. Two centuries later, Sarma-pa divided into the Sakya-pa and the Kagyu-pa. Three hundred years later, one of Tibet's revered lamas, Tsong-kha-pa, founded the reforming Gelug-pa.
• Nyingma-pa Tracing its origin to the Indian adept, Guru Padma-sambhava, who came to Tibet in 817 C.E. at the invitation of King Trisong Detsen (742-797) in order to subdue the evil forces then impeding the spread of Buddhism. This lineage of Buddhism is uniquely Tibetan in that many aspects of the traditional Bon religion are mixed together with more properly Buddhist beliefs and practices to form a unique expression of Buddhist piety. 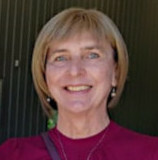 This lineage emphasizes the move towards more advance stages of enlightenment through "preliminary practice" that comprises the beliefs and practices of Buddhism before the advent of Tantra, and through the "higher practices," which involve the attainment of enlightenment through the chanting of magical spells, special hand gestures and mystical diagrams. • Sakya-pa The lineage has descended intact up to the present time from Khon Könchok Gyelpo(1034-1102), founder of the Sakya tradition. From the doctrinal point of view the tradition traces its origins to the Indian Yogin Virupa through Gayadhara. His disciple Drogmi Shakya Yeshe (992-1074) travelled to India where he received teachings on the Kalachakra, the Path and its Fruit, and others from many Indian masters and returned to Tibet. Later, Khon Könchok Gyelpo, one of his main disciples, built a monastery in the Tsang province of central Tibet and named it Sakya, or Grey Earth monastery. So the school took its name, Sakya, from the location of the monastery. Succession to the position of head of the Sakya tradition has been hereditary since the time of Khon Könchok Gyelpo. The present incumbent is the 4lst occupant of the Sakya Throne. The central teaching and practice of the Sakya-pa, called Lam-dre (Lam-bras), the Path and Its Fruit, ultimately leads a practitioner to the state of Hevajra. The Path and Its Fruit is a synthesis of the entire paths and fruits of both the exoteric and esoteric classes of teachings. • Kagyu-pa The lineages of the Kagyu school of Tibetan Buddhism derive primarily from two sources: Marpa Chökyi Lodro (1012-1099) and Khyungpo Nyaljor (978-1079). Marpa received the lineage of tantric teachings called the Four Commissioned Lineages - concerning the Illusory Body and Consciousness Transference, Dreams, Clear Light, and Inner Heat directly from Naropa (1016-1100), who had been given them by his teacher Tilopa (988-1069). Mahamudra, the unique feature of Kagyu tradition, can be explained according to interpretations of sutra and tantra. Both aspects of the teachings are aimed at direct understanding of the real nature of the mind. The approach to Mahamudra, which differs slightly within each Kagyu school, generally follows through the stages of foundation, path and fruit. 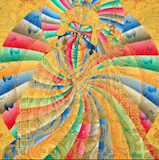 Tantric practices unique to Kagyu tradition are the Six Yogas of Naropa, Chakrasambhava and Mahakala. In the context of tantric practice, the application of Mahamudra becomes much more profound and sophisticated. • Gelug-pa Founded by Tsong-kha-pa (1357-1419) as a reform movement within Tibetan Buddhism, followers acclaimed the third teacher as an incarnation of the bodhisattva Avalokiteshvara, thus inaugurating the line of the Dalai Lama, the fourteenth and most recent of whom was born in 1935. Emphasis in this lineage is on a strict monastic discipline and on the conviction that the bodhisattva, a Buddha who has foregone final nirvana out of compassion for all sentient beings, is continually present. This tradition remains dynamic even after coming into exile. The major Gelug monasteries, Sera, Drepung, Ganden, and Tashi Lhunpo monasteries and Gyumey Tantric College have been re-established in various Tibetan settlements in Karnataka, and Gyutö Tantric College has been re-established in Bomdila, Arunachal Pradesh, all in India. Kagyu), H.E. Thuksey Rinpoche (Drukpa)...many can be found in the websites of individual lineages such as for Drikung (http://www.drikung.org" onclick="window.open(this.href);return false;) and others. and works of Gorampa Sonam Sengey and others. • LAMAS: HH the Dalai Lama, Panchen Lama/ Ven Yeshi Dhondup, Lama Zopa. Vague answers are the best anyone can do, because it is your decision not anyone else's. Only you can know what works for you. I would recommend the Goldilocks principle: try out whatever you come across, to see if it is too hot, too cold, or just right. For various reasons, I found myself involved with the Tibetan tradition. For a long time, like you, I was baffled by all the deities, bodhisattvas more numerous than the sands of the Ganges, etc. I knew that none of the three vehicles was "wrong", so there was obviously something that I was not getting. One day, I was reciting my regular prayers when one line suddenly hit me. In it, the deity says that she is the manifestation of characteristics of my own mind. Suddenly I realized that all those innumerable bodhisattvas were manifestations of my own mind. I didn't have to believe in magical beings "out there". They were all in my head. Avalokiteshvara is my own compassion. Manjusri is my own wisdom, etc. All the prayers, rituals, thangkas, bells, etc. are just skillful means to awaken me. At least, that's one way to look at it. Perhaps you might find that helpful. For people who thrive on complexity, the Tibetan tradition takes on the challenge and asks, How complex do you want it? For people who like things simple, the Zen tradition asks, How simple do you want it? If you find a tradition "too" anything, it may not be for you. However, don't be hasty about rejecting one. You may find that, like me, something clicks and you adapt to it. Now I kinda dig the over-the-top elaborateness of the Tibetan tradition. It's really a personal preference. KeithBC wrote: Vague answers are the best anyone can do, because it is your decision not anyone else's. Only you can know what works for you. I would recommend the Goldilocks principle: try out whatever you come across, to see if it is too hot, too cold, or just right. It's VERY coincidental that you just wrote that about the deities being a manifestation of our own minds, because I had never heard that until about 4 hours ago. I was taking a nap, listening to an audiobook on Tibetan buddhism, and heard that as I was dozing. I sat up, replayed that part, and thought, "Huh! Now THAT can make sense!" That makes much more sense to me then the image I had of a bazillion gods running around externally and literally. I've been reading about Buddhism for years and had never heard that until today, and from two different sources! What I find a bit strange is that I find myself most intrigued and interested in Tibetan buddhism also, but I would NOT consider myself someone who thrives on complexity! So to me it's rather odd that the one that seems very complicated is the one that feels most "right" (for me that is) so far. Kind of reminds me of back when I was in my late 20's I decided I wanted to play an instrument, and I chose the violin. Everyone said, "What are you crazy? You picked one of the hardest instruments to learn!" Not to mention I couldn't even read music at the time. That's how I feel now. Having said that though, I enjoy seeing the rituals, colorful aspects, elaborateness of the Tibetan tradition. It appeals to me very much, I just don't know where to begin in understanding it all! As far as my comment about vague answers, I am certainly not referring to well meaning people who just aren't sure of what to say; at least I don't mean it in a derogatory way. I mean some people on a couple of forums I've been on seem to feel as though they have to talk "buddhisty", you know? Speaking in riddles instead of plain English. Don't get me wrong, I appreciate anyone's attempt to help, but I need beginner questions answered in beginner language, that's all. In any case, you've been very helpful. Now I need to go back to my search to find some good beginner resources on Tibetan Buddhism! That itself has been a challenge. I've read a lot of Pema Chodron, I love her down to earth style. But I think I've read everything she's written. I'd like to find something that really gets into explaining the tradition and practices, observances, etc. Thanks again, and any other suggestions on where to start or ways to practice would be appreciated. I feel like I can be doing more than simple meditation and reading, so any other suggestions on ways to practice would be appreciated. The red bits are wrong: Heruka Chakrasambhara, Vajrayogini at the minimum. It's a two-year foundation course into Gelug (Tibetan) Buddhism and it's very good. It's a correspondence course; you use books written by the teacher, and we have an internet forum area where just the students can discuss things. You download the teachers lessons to listen too also. It's not all dry academic stuff; we're encouraged to see how Buddhism fits in with our lives, and I'm quite enjoying it. I also like the structure of the course; I have a tendency to be lazy so I like deadlines. It also talks about other traditions and even uses quotes and teachings from other traditions. Many of the other students on the course have been practising Buddhism for some years (they seem quite accomplished Buddhists to my n00b eyes), and this course can fill in the gaps of knowledge that some may have. Maybe this has been some help? Padme wrote: As far as my comment about vague answers, I am certainly not referring to well meaning people who just aren't sure of what to say; at least I don't mean it in a derogatory way. I mean some people on a couple of forums I've been on seem to feel as though they have to talk "buddhisty", you know? Speaking in riddles instead of plain English. Don't get me wrong, I appreciate anyone's attempt to help, but I need beginner questions answered in beginner language, that's all. Yes, that is very much a phenomenon of Buddhist discussion forums (less so on this one). I call it "faux Zen". Some folks think they are being helpful by disguising everything as a koan. Sometimes it is a cover for their lack of understanding. And yes, it is very irritating. Just another piece of samsara. "Faux Zen", exactly, and that's a good one. And it is very irritating. Actually, your whole sentence "Some folks think they are being helpful by disguising everything as a koan" gave me a good laugh, that summed it up nicely. I feel like saying "Stop trying to sound Buddhist and just be real". It's like they all think they're Yoda or something. But so far, I haven't seen much of that on this forum, which is very refreshing. I've only made a few posts, but people seem genuine and helpful, and for that I am grateful. Padme wrote: It's VERY coincidental that you just wrote that about the deities being a manifestation of our own minds, because I had never heard that until about 4 hours ago. I was taking a nap, listening to an audiobook on Tibetan buddhism, and heard that as I was dozing. I sat up, replayed that part, and thought, "Huh! Now THAT can make sense!" That makes much more sense to me then the image I had of a bazillion gods running around externally and literally. I wouldn't say they're merely a manifestation of your own mind. In a way, they are because the qualities they embody are directly correlated with the latent qualities of your own mind which can be fully revealed and caused to unfold to benefit both yourself and others. From another POV, though, they aren't just a manifestation of your own mind because they were once sentient beings like you and I who practiced the path and fully discovered and brought out their primordial enlightened potential, just like you and I are striving to do. So, they can represent what is waiting to be discovered in our own minds, as well as the fruition of the path. Padme wrote: What I find a bit strange is that I find myself most intrigued and interested in Tibetan buddhism also, but I would NOT consider myself someone who thrives on complexity! So to me it's rather odd that the one that seems very complicated is the one that feels most "right" (for me that is) so far. Kind of reminds me of back when I was in my late 20's I decided I wanted to play an instrument, and I chose the violin. Everyone said, "What are you crazy? You picked one of the hardest instruments to learn!" Not to mention I couldn't even read music at the time. That's how I feel now. Having said that though, I enjoy seeing the rituals, colorful aspects, elaborateness of the Tibetan tradition. It appeals to me very much, I just don't know where to begin in understanding it all! Not as strange as you think. Although the most common practices one hears about in Tibetan Buddhism are very complex, with a symbolic representation of the hidden, misapprehended wisdom beneath each aspect of our delusion, the pinnacle practices in every lineage of Tibetan Buddhism are the most uncontrived, simple practices one could ever imagine. So simple and unfabricated, however, that when we begin them, we begin to see just how difficult it is to allow our conceptual minds to relax and STOP being so complicated lol. So, although you may not thrive on complexity in the sense of appreciating and enjoying it, your mind is probably a good deal more complex than you presently realize. As far as sources for learning about Tibetan Buddhism aimed at a beginner, I have to second the other poster who recommended Bruce Newman's "Beginner's Guide to Tibetan Buddhism." I happen to be acquainted with Bruce personally because he lives down the road from me and teaches a lot at the TB center I attend. I've also read his book. First off, he's been very traditionally trained and has completed at least one 4 yr retreat and has been asked by his lamas to teach. Second, he is like the uber Westerner and just very real and teaches the Dharma in a way that is very authentic, but also in a way that is attuned to the Western mind and sensibilities. I don't know how to put it properly, but he is more capable than most other Western teachers I've come across of teaching in a way Westerners can relate to without leaving things out or adulterating the Dharma. And he gives absolutely nothing but straight talk. No fluff, and no mere towing the party line, even though he does not teach some new-fangled Western approach to Vajrayana. So, basically, he's very qualified and very pragmatic. His book also includes quite a few anecdotes of his own initial fumbling through Vajrayana and trying to learn the ropes. I think you'd enjoy and benefit from the book greatly. Hi Padme, first off, Tibetan Buddhism may seem complex, but I believe that is only because Tibet is the one part of the world that managed to preserve through the centuries the entire spectrum of Buddhist teachings and vehicles. So there is a lot of different practices to choose from, and a vast amount of knowledge and texts to receive and study. However, nobody needs to study or practice all of these things. For now it would be good to get an overview, just to try to understand the different levels of teaching and the strengths of the different lineages' points of focus. But eventually, if your karma ripens and you find the right teacher then they will know the perfect practice/s for you personally to make the most progress, and you won't need to feel overwhelmed by 'complexity'. What's more, in the highest level of Tibetan Buddhism, whether it is called Mahamudra (the Great Seal) or Dzogchen (the Great Perfection)-- it is the epitome of simplicity. However our minds are naturally complex, wandering, obsessive, imaginative, etc. so before we can truly embrace the pure simplicity we may need to purify these other tendencies in their own rights. What looks like mysticism is actually a method, or rather a number of different methods. Even the most outlandish-looking devotional practices are methods of meditation, means to an end, in the last analysis. Well I was in much the same boat as you a few years ago - Tibetan Buddhism stood out prominently - with the Thai Forrest tradition of the Theravada also positive. I beleive that this stems from having practiced both in former lives. Perhaps if Tibetan buddhism stands out strong for you, you have also practiced before. I was in a 'muddle of books' myself to begin with - leading to further reading, online study, and meeting other Buddhists as well as discussions with my best friend who knows a bit more than me on the subject. I made contact with a couple of Myspace and Care2 Buddhist groups, and I also started to study the ACI courses at http://www.acidharma.org/aci/index.html" onclick="window.open(this.href);return false; I wanted to find a local temple or center, but all I could find 'irl' were from the Vietnamese or Chinese tradition - not Tibetan. Certain practices fell into place easily whilst others seemed wrong altogether. I somehow knew which ones to work with until things sorted out enough to know I had practiced in a former life. I am sure if you stick around here and keep reading etc, that you will find your personal slot too and know where to put the emphasis. Madeliaette wrote: Well I was in much the same boat as you a few years ago - Tibetan Buddhism stood out prominently - with the Thai Forrest tradition of the Theravada also positive. I beleive that this stems from having practiced both in former lives. Perhaps if Tibetan buddhism stands out strong for you, you have also practiced before. This course looks fantastic; thank you very much for suggesting it! Grasp the essence of Dependent Origination or 12 Conditional Factors and 4th Noble Truths then you will understand different teachings of different traditions if you trace back to Dependent Origination and 4th Noble Truths. Please pick one tradition of practice and stick with it, and try not to study every sutra. If you understand one sutra thoroughly, then you will be able to understand all the sutras. Pick one sutra and study for a long time. Don't try to gain knowledge by studying many sutras and studying excessively than you can handle as this will only bring confusion. This is a common mistake that most people make. Yes, attachment to knowledge/intelligence of Buddhism is a big concern and big hindrance in your practice. Most people spend their life discussing Buddhism but they never practice. Pick one and stick to it then you can be its master if you study all you are not a master but merely a person who reads many recipes without baking the cake. 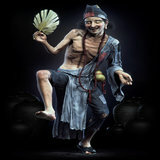 LastLegend wrote: Please pick one tradition of practice and stick with it, and try not to study every sutra. If you understand one sutra thoroughly, then you will be able to understand all the sutras. Pick one sutra and study for a long time. Don't try to gain knowledge by studying many sutras and studying excessively than you can handle as this will only bring confusion. This is a common mistake that most people make. Yes, attachment to knowledge/intelligence of Buddhism is a big concern and big hindrance in your practice. Most people spend their life discussing Buddhism but they never practice. Hmm, that's very interesting LastLegend. On one hand I agree, and on the other I don't. I like the analogy about reading many recipes but never baking a cake. That makes perfect sense. But on the other hand, blindly "picking a path and sticking with it" as you suggested seems counter-intuitive to me. It feels as if that would go against the Buddha's own teachings of "investigating for yourself, don't take my word" concept. I can see the scenario now, me in a conversation with someone about Buddhism. They ask, "Why did you choose the Tibetan tradition?" and me answering "Eh, I don't know, I just had to pick a path so I could get on with practicing, so I just grabbed one". You know what I mean? I feel the right thing to do, for my own understanding, would be to investigate the various traditions to see which fits best with my views & understanding of the Dharma. And I don't know how to find the right path for me without reading about the different traditions. So while I agree with you that it wouldn't be wise to spend my life studying instead of actually practicing, it still seems to me that some sort of comparing traditions would be a rational thing to do before deciding on a path. Otherwise I'd have no understand or insight as to why I chose that particular path. I'd also recommend the book "The Psychology of Buddhist Tantra"
the sometimes harder to fathom, seemingly theistic elements of Vajrayana practice. from a Vajrayana view that I've ever read, is Magic Dance by Thinley Norbu. Adamantine wrote: I'd also recommend the book "The Psychology of Buddhist Tantra"
I just responded to your comment on my "Meditating While Listening to Dharma Talks" post, and here I am again thanking you! Both look very interesting just based on what you said, I'm going to check them out now.... Thanks! You left out this important below. You will have no problem in understanding all schools when you have grasped 12 Conditional Factors and 4 Noble Truths. This is how you investigate all the schools through understanding the core teachings. Grasp the essence of Dependent Origination or 12 Conditional Factors and 4 Noble Truths then you will understand different teachings of different traditions if you trace back to Dependent Origination and 4th Noble Truths. I also said pick one and stick with it after you have compared all the traditions. I am assuming when you have a deep understanding of 12 Conditional Factors and 4 Noble Truths, you will have no problem in telling which one is right for you. You said comparing traditions. But to what? based on what? in relation to what? That's why I suggested that you study the core teachings. Well, I skipped that part of your quote because I do not have a deep understanding of those things yet. Can't agree or object until I learn more on that. That's something new for me to study and read; and for that I thank you!